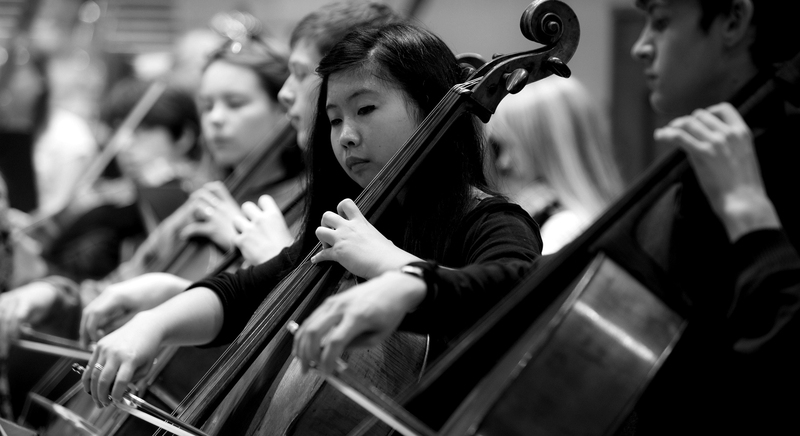 NYO Young Promoters are a team of dedicated teenagers from across the UK who share NYO’s passion for orchestral music. They are part of the NYO family and work with NYO’s Young Promoter Tutor Tom Redmond to learn about the music alongside NYO Musicians and develop their presentation and promotional skills. NYO Young Promoters host, promote and present NYO’s workshops and performances in their schools and local concert halls alike. NYO concerts begin with a free Teen Hangout event hosted by NYO Young Promoters. These events are exclusively for teenagers attending the concert, and provide a friendly environment for young people to meet NYO Musicians, enjoy some free snacks, relax before the concert begins, and discover the stories behind the music. There are currently more than 120 NYO Young Promoters nationwide. They are selected by schools NYO meets during NYO Inspire and NYO Play the School projects. To find out more about becoming an NYO Young Promoter, contact Nick Thorne on n.thorne@nyo.org.uk. Join the conversation using #HelloNYO. Discover upcoming NYO Teen Hangouts click here.